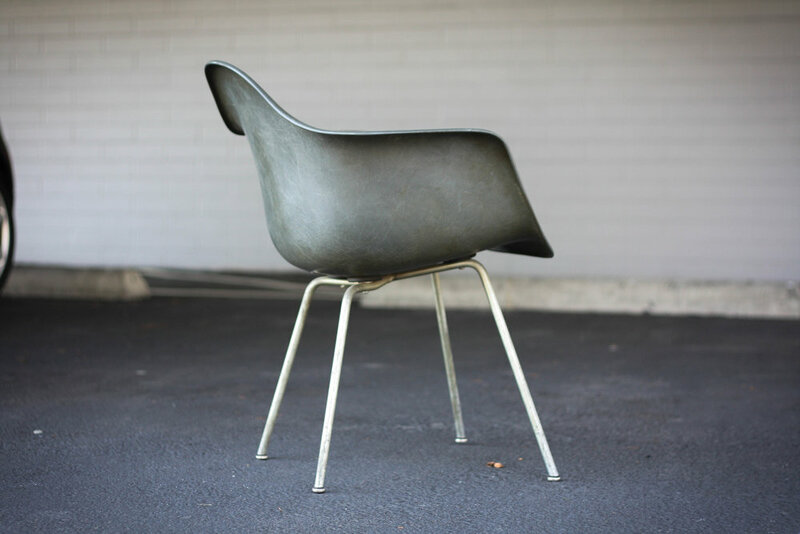 Amazing condition on this first edition Eames shell chair, manufactured by Zenith plastics in 1950 and distributed by Herman Miller. 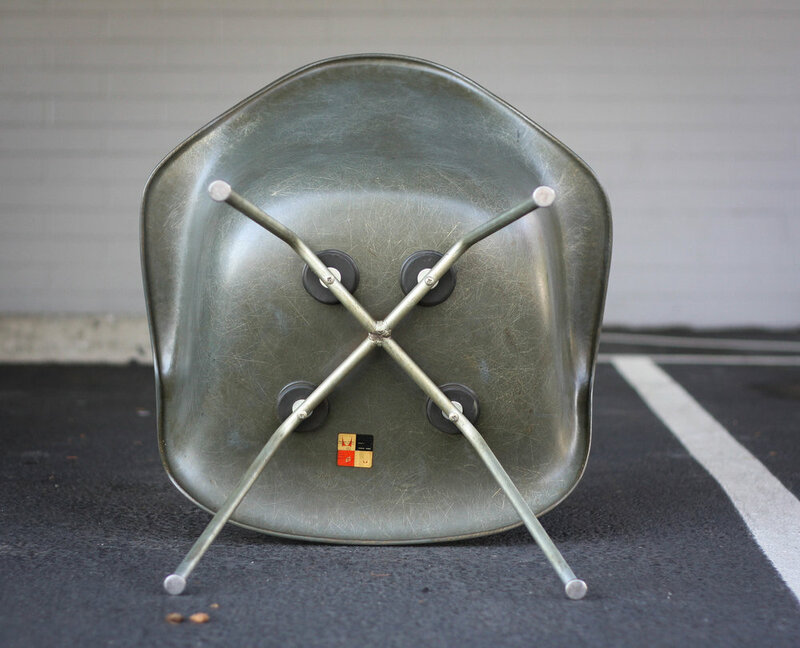 The original Zenith label is still in tact and verifies this is a true first year chair. The rope edge carries around the entire perimeter of the chair. 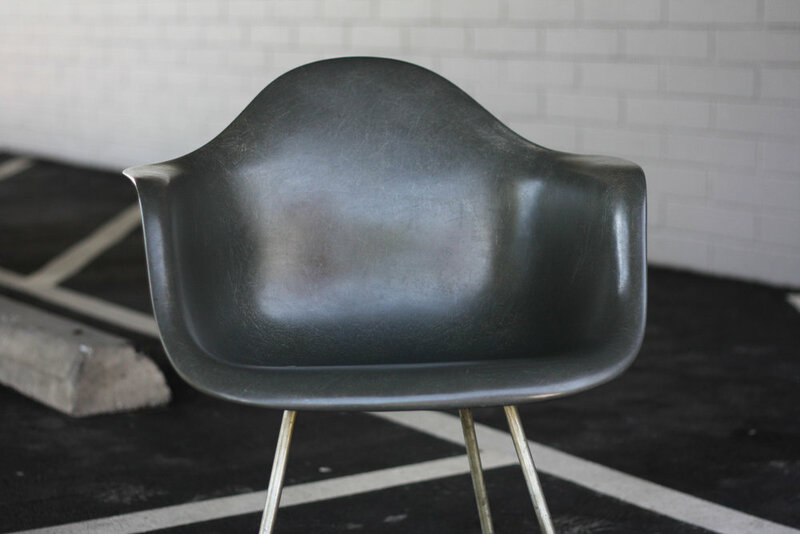 Elephant gray shell is in very good condition with no chips or breaks, and only very minor signs of wear. The best condition first year chair we've seen anywhere (seriously look around online and you'll agree). Please note the dark spot that appears in the back area in some photos is shadowing and not a stain on the chair (you'll notice it doesn't appear in the second to last photo taken from a different angle). 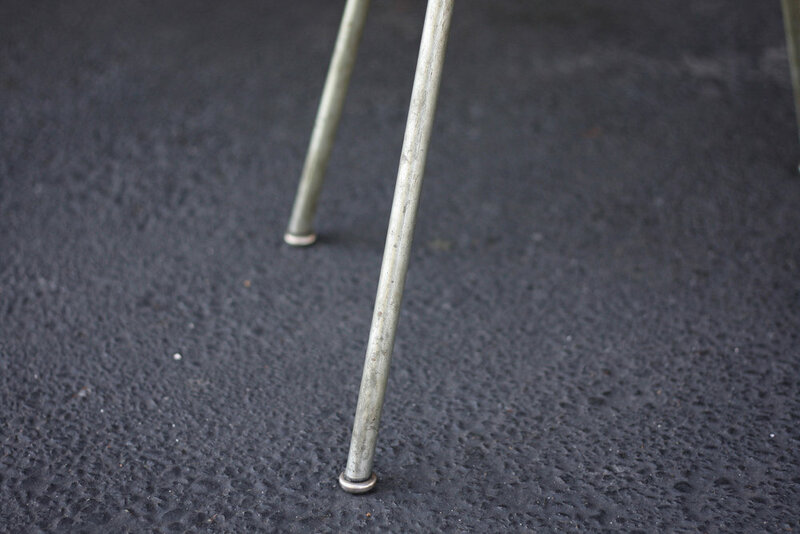 Metal legs show typical/beautiful patina. All four domes of silence still in tact. Hockey puck sized shock mounts are original and in excellent condition showing no signs of breaking down or compromise.